this post is a bit overdue seeing as how it is now september, which means that new england goes into cardiac weather arrest and instantly turns chilly, but if your apartment is like mine, and cross-breeze is rather non-existent… this is still pretty relevant. one of the (many) things that shocked me about moving to the north was the lack of air conditioning. summer in the south may have seen significantly higher temperatures, but i was essentially just going from an air-conditioned house to an air-conditioned car to an air-conditioned school. in the north, i go from a sticky, hot house to a sticky, hot subway to …well, at this point, generally an air-conditioned office building, so hallelujah. 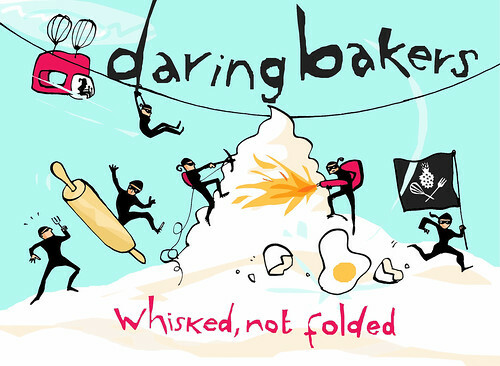 but back in that un-air-conditioned apartment where the mere act of walking into a new room causes sweat to stream down my legs, baking is pretty much out of the question. double your kitchen as a bikram hot yoga studio. 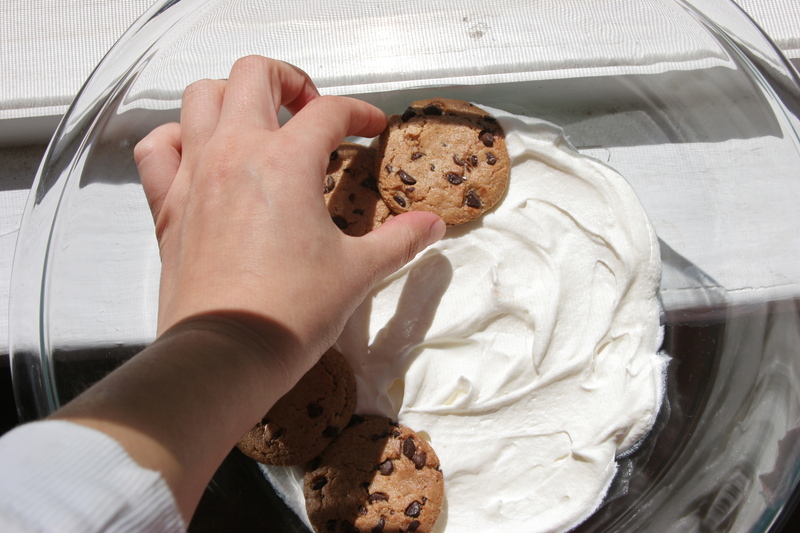 attempt to bake cookies on your window sill as a reinvention of the car window cookie baking trick. use it to soften the seals on envelopes in order to open all of your roommates mail without them knowing it. grab a towel and some cedar planks and imagine you are in a sweat lodge. abduct some young children and create a literal sweat shop (ok, i admit that this one is weak). if none of those options appeal to you, you can always try this recipe which actually involves no baking at all and for this reason, happens to be one of my favorites for the summer. 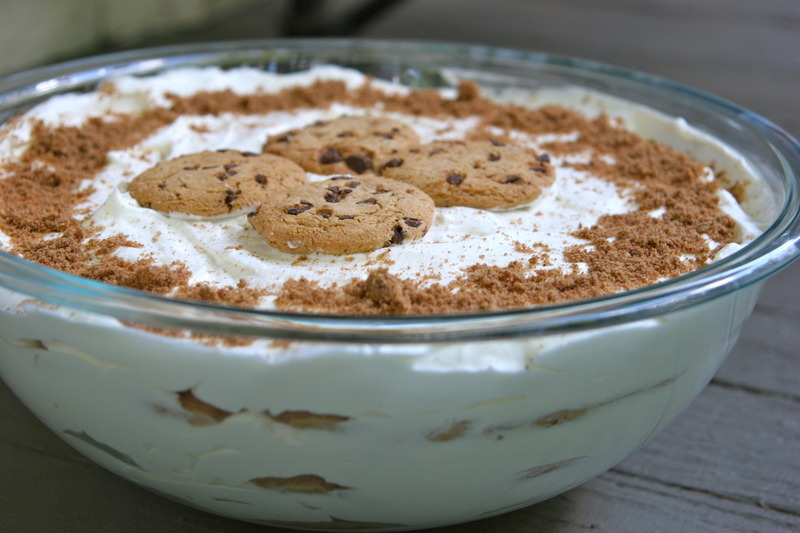 basically, you are just layering milk-soaked chocolate chip cookies and cool whip to get a light and refreshing trifle. i originally got this recipe from a good friend when we vacationed on hilton head island after my freshman year of college. just imagine four not-entirely-sober 19-year-olds (sorry, mom) running around sun-burnt in their underwear (sorry, dad) being complete idiots and you’ll have a pretty good idea of how that trip looked. this simple treat was about all we were capable of producing at the time, other than lime wedges for tequila shots (clearly). it will take you minutes to put together, and you won’t even break a sweat (ba dum cha)! 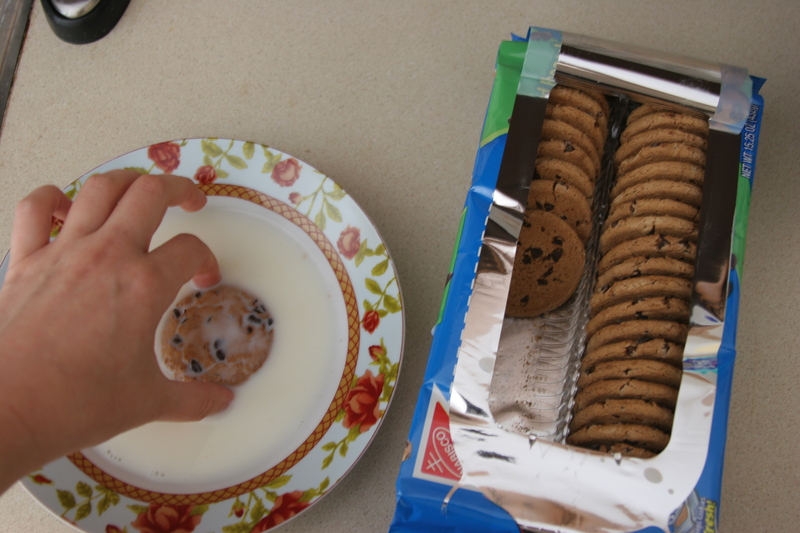 1. dunk each cookie for about 10 seconds in the milk. layer on bottom of bowl. 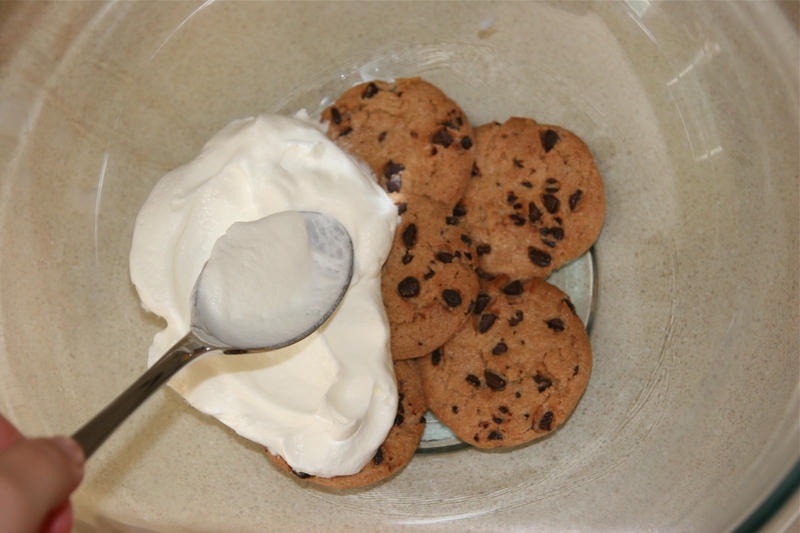 2. layer cool whip on top of soaked cookies. 3. repeat. and repeat. and repeat. and repeat til you can repeat no mo. 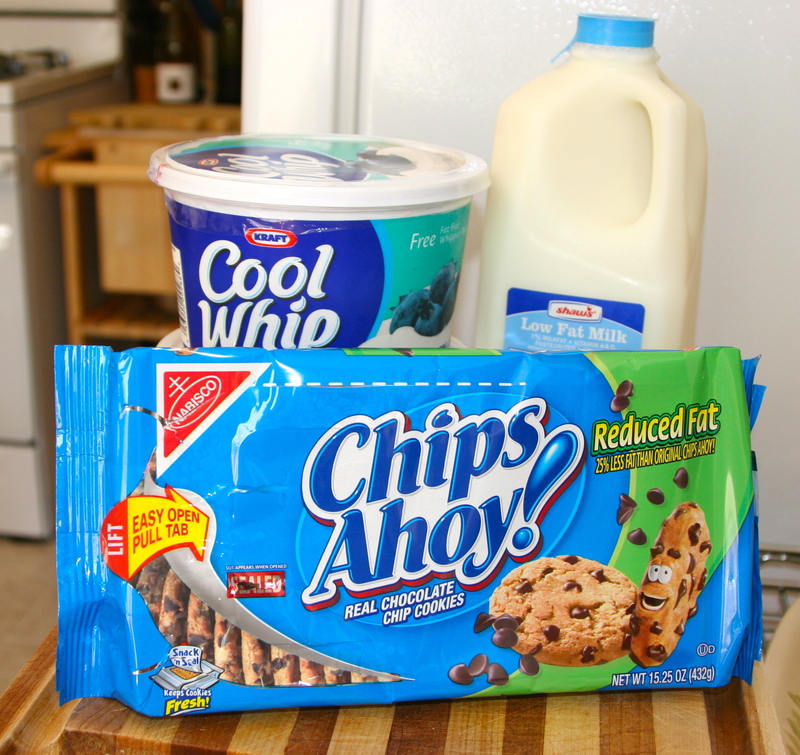 4. here is where it is a matter of taste… i prefer this frozen, so i generally refrigerate it for a while so that the cookies have time to get mooshy, and then i throw it in the freezer. if you want it to be more like a trifle, just refrigerate. as you can see, this recipe should really only be tackled by those who are very confident in the kitchen. it is very difficult to make this. another bonus of this cake? it also happens to be ridiculously easy to take to parties. ridiculous, i say. Jesus Christ I WANT THAT. 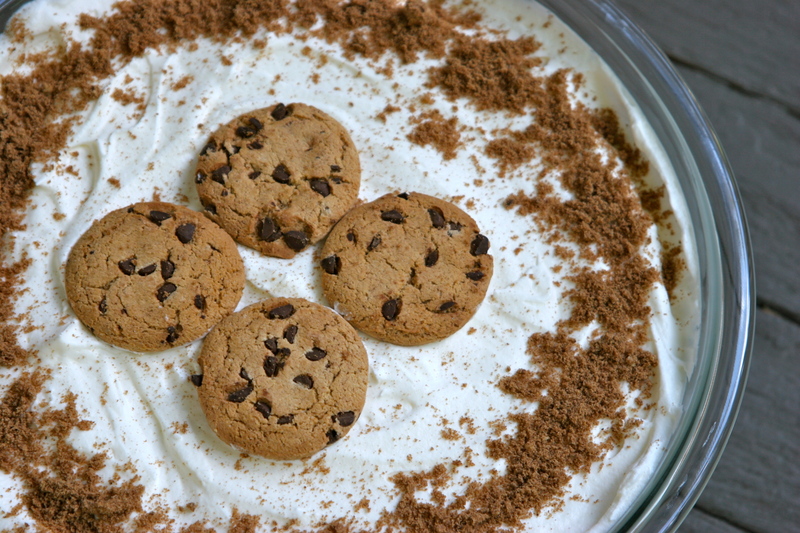 OMG, I remember Keely making this while we were in HHI on our summer K trip 🙂 I have it in my recipe box as “Keelymisu”, because it kind of reminds me of a tiramisu! fleet foxes, stevie wonder, matt pond pa, & miranda lambert.